Reliable mail delivery and successful North American mail services are essential for consumers and businesses. At Domtar, we move about 30 percent of the products we make through the U.S. Postal Service and Canada Post. We also advocate for the right to choose paper communications and strive to understand the impact postal affairs have on industry and consumer issues. Given our large stake in the success of mail services, particularly in the United States, we are strong advocates for comprehensive postal reform legislation. “We believe a citizen’s right to choose to receive essential information on paper should be protected, and we believe in protecting the interests of our industry,” says Tom Howard, Domtar’s vice president of government relations. Expanding regulatory oversight of the USPS. It’s important to keep in mind that this report only lists recommendations, and in many cases, those recommendations will require legislative or administrative action to be adopted. We expect continued robust discussion of this report among all postal stakeholders throughout 2019. 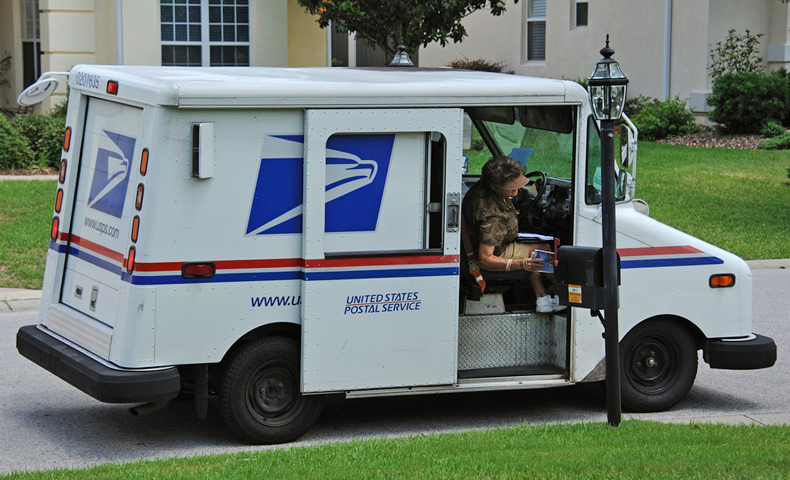 Postal Regulatory Commission (PRC) Rate and Regulatory Review: Now that the task force report is out, we may see movement from the PRC as it reacts to comments made on its original proposal, as well as recommendations from the task force. Legislation: Postal reform hasn’t made much progress in the current Congress despite consistent efforts by postal stakeholders to move it forward. It is unlikely to be included in any legislation being discussed in the current lame duck session, but House Oversight and Reform Committee Chairman Elijah Cummings (D-Maryland) has been a strong supporter of reform legislation this session, and postal stakeholders are optimistic he will be able to bring to fruition a number of needed reforms. Informed Visibility (IV) has become the default information-sharing platform for the USPS. As well as mail-tracking data, the IV platform has become the source for detailed Mail Quality Data, reports related to the new Enterprise Payment System (EPS), and Informed Delivery (ID) reports. ID now has nearly 14 million subscribers, and the USPS continues to build out the infrastructure needed to support the program. We expect to be able to automate ID campaigns using mail.dat tools in place of the more manual online campaign portal in early 2019. It is likely to be the end of 2019 or early 2020 before we’ll have the tools to create fully one-to-one campaigns. Look for a spike in ID campaigns next fall when the first standalone ID promotion is launched. Informed Address: a technology that replaces a consumer’s physical address with a unique code to allow the USPS to share consumer addresses while maintaining consumer privacy. The USPS wants to use this technology to implement a number of new applications that will be rolled out in the coming years. The first application is slated to be a “targeted offers” program that will enable consumers to access digital and physical offers through ID. Informed Mobility: a program that uses GPS data to track movement of mail transportation (by trucks and planes) around the country to better predict when mail will arrive at USPS facilities. IWCO Direct is participating in a pilot program to share mailing industry transportation data with the USPS to supplement the data about USPS transportation. The IWCO Direct postal team posted a spring update recently and will continue to monitor these issues and other postal affairs, as well as advocate for mailing industry–friendly outcomes. Can Sustainability ROI Boost the Bottom Line?